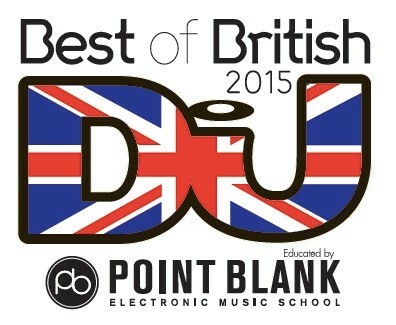 DJ Mag’s Best Of British awards is where you’ll possibly find the UK’s future dance music stars and some of the hottest electronic music talent of the moment. While the magazine’s Top 100 DJs Poll is the apparent yardstick for the biggest international names, DJ Mag created the Best Of British awards to shine a light on the wealth of talent from the UK. The event is the annual set of accolades that focus exclusively on UK dance music, and there have been a significant number of emerging artists in the past that have subsequently gone on to become global stars. This year, the organisers have come up with the nominations for the 2015 Best Of British awards, which are a mix of old and new names that have been making waves over the past 12 months. Voting for this year’s BoB awards runs until Monday 7 December. Once all the votes are counted and verified, the awards will be presented at a party on Wednesday 16 December at Heaven in London. Leftfield will be performing an exclusive DJ set at the show, and a number of top-flight DJs are preparing to play too. VIVa Warriors man Steve Lawler will be playing a special set, and Yousef, Breach, Alan Fitzpatrick, Eli & Fur, and Tim Green will also be making guest appearances. Nocturnal Sunshine and Special Request, the alter egos of Maya Jane Coles and Paul Woolford, are also confirmed, and Jasper James, Sam Divine and Weiss will also be playing on the night. Special guests are D&B legends Fabio & Grooverider, who will be returning to Heaven nightclub where they helped forge a proto-D&B sound at Rage back in the early-90s. A second phase of DJs has been announced including Ashworth, Asquith, Kiwi, Krankbrother, and Mr Beatnick. They will be joined by the winner of the ‘Best British DJ’, and ‘Best Breakthrough DJ’ categories, with more guests to be announced.